When you plan a cross-country road trip, you’re often really planning the pit stops that you want to take along the way. The perfect road trip includes a mix of scenic views, historic landmarks and, of course, great food and drinks. If you’re planning a cross-country drive, you won’t want to miss these six great spots! 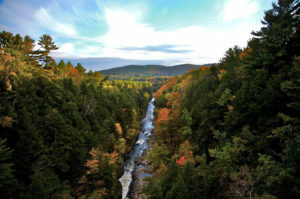 Vermont Spirits in Queechee, VT distills their alcohol with maple syrup and apples sourced from local Vermont farmers. Stop by for a tasty visit to their distillery tasting room! 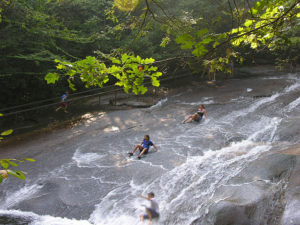 Asheville’s Sliding Rock is a natural mountain waterfall that attracts thousands of adventurous visitors each year. Children and adults alike line up to slide down the 60-foot boulder into a pool below. For the cautious travelers, lifeguards are on duty during the daytime hours. 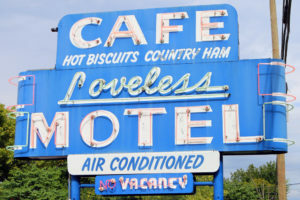 To get a real taste of the South, a pitstop for bottomless biscuits at the famous Loveless Cafe in Nashville, TN is a necessity. And while you’re in town, Margaritaville Nashville is only a short drive away in the heart of the city. 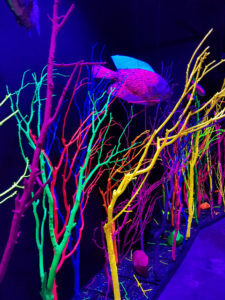 The newly opened art space Meow Wolf in Santa Fe, NM is an interactive art exhibit, jungle gym, haunted house, and children’s museum all wrapped into one. A must-see if you’re in the Southwest! 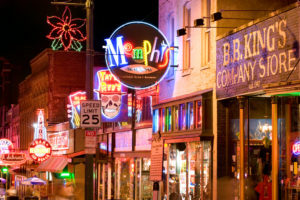 While many flock to Tennessee to stop in Nashville or to visit Graceland, a trip to the state isn’t complete without a visit to Beale Street – the lively heart of Memphis’s entertainment, food, and music scene. If you need a rest from all that driving, treat yourself to a wine tour at one of the many vineyards along the Keuka Lake Wine Trail in upstate New York. 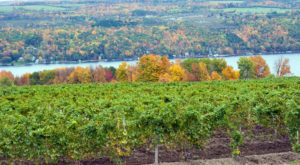 You can even get a Keuka Passport, which gives you access to wine tastings at seven local wineries for only $12.